A new non-profit organization was launched this week with the goal of promoting inclusivity and serving the LGBTQ+ community of Southwest Virginia. 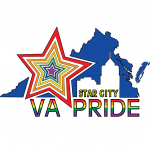 WFIR’s Lillian Boyd has more on what Star City Virginia Pride plans on getting done this year. The Drop-In Center provides HIV testing, prevention counseling, and support for those living with HIV/AIDS. Collections will be made from now until June 15th, drop off locations are listed at starcityvapride.org.